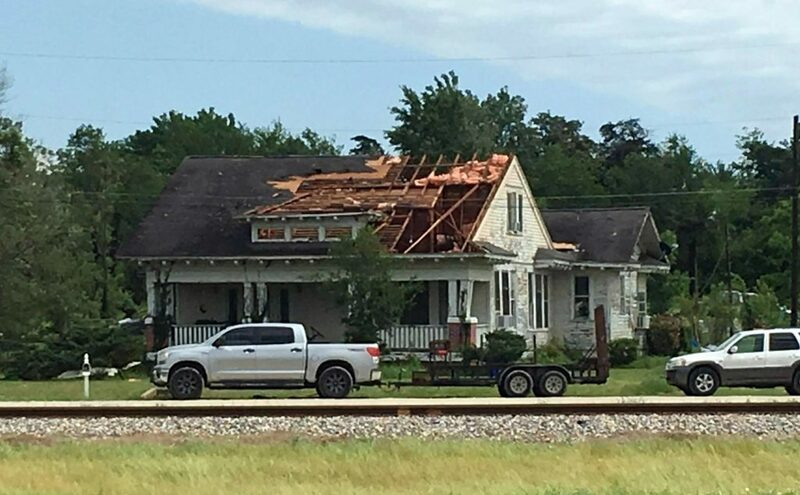 In Central Texas, Robertson County Sheriff Gerald Yezak told The Associated Press a suspected tornado hit the small city of Franklin, overturning mobile homes and damaging other residences. Franklin is located about 125 miles south of Dallas. The storms are part of a large system moving through the southern United States, knocking out power to thousands and causing some flash flooding. The weather service said the system is expected to shift to the Ohio Valley and the Southeast on Sunday. Meteorologist John Moore said a possible twister touched down Saturday in the Vicksburg, Mississippi, area. No injuries have been reported, but officials said several businesses and vehicles were damaged. Winds of up to 60 mph were reported in Cherokee County, Texas, damaging two homes in Alto but not injuring anyone. Alto is situated about 140 miles north of Houston.